When reigning EFL champions Man Utd were knocked out of this year's competition in the fifth round by Championship side Bristol City, their Mancunian rivals must have been rubbing their hands with glee. Man City are now within touching distance of the Carabao Cup, and although their quadruple hopes are over, it could mark the start of a treble-winning season for the Sky Blues. 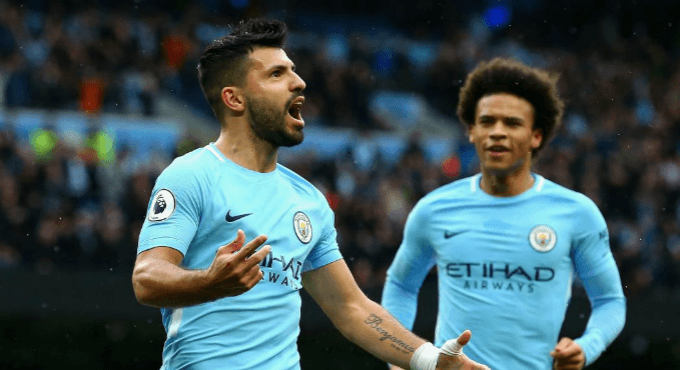 However, they still have to overcome Arsenal, although given the Gunners’ erratic season so far, which has seen them sink to sixth place in the Premier League, the odds are heavily in Man City’s favour. Yet there may be a few other bets that could earn punters a winning payday of their own. Like many pundits and commentators, bookmaker William Hill favours Man City to lead the game by the time the 90 minutes is over. It’s currently offering odds of 8/13 if that’s the case, while the bookmaker is offering 9/2 for an Arsenal win at their old Wembley stomping ground, and 16/5 if it’s a draw. It looks like William Hill is expecting some last minute action too, offering 8/1 that Man City will win in extra time, or 20/1 if Arsenal do the same. There are also reduced odds as to which team will lift the trophy as opposed to who will win, with Man City attracting 4/11 odds, while Arsenal are the much more enticing bet at 2/1. If you think you can predict not only which team will lift the Carabao Cup but also the exact scoreline, then you might be able to earn higher winnings. Assuming that Man City will indeed win, as many forecast, it then becomes a question of will they annihilate Arsenal, or will Arsene Wenger’s men prove to be more of a challenge? BetBright are offering odds of 10/1 for a slim 1-0 victory for the Sky Blues, with the same for a 2-0 win. If they do prove to be the force that we’ve seen all season and they pummel the Gunners 3-0 or 4-0, you can get 16/1 or 28/1 respectively. Should Arsenal fight back and manage to score one, Ladbrokes are offering 7/1 for a 2-1 result in Man City’s favour, or 10/1 for a 3-1 win. For Arsenal fans who believe that they could still win the EFL Cup Final, Ladbrokes is offering high odds of 16/1 for a mere 1-0 victory or a bitter fought 2-1 win in Arsenal’s favour. The odds quickly escalate from there, with a 2-0 win hitting 33/1, and a 3-0 victory skyrocketing the odds to 66/1. If you don’t feel confident in guessing the exact score – and with these two teams who can say for sure – there is another way to increase the odds. By guessing the scores at the end of both half-time and full-time, punters could push the odds up and increase their potential winnings. If you believe Man City will be ahead for both parts, then Sportnation is offering odds of 11/8. However, if you think Arsenal could pull ahead by the first whistle, only to lose the lead in the second half, then you could be in line for an excellent payout at 18/1. Another way to make the bet more interesting is to pick which player or players will score, and if they will score first, last, two or more or even a hat-trick. Top of the list for Man City must be Sergio Aguero with 29 goals so far this season. William Hill is offering odds of 10/3 if he’s the first or last to score, and 17/20 if he scores at all. If you think he’ll bag two for the Sky Blues, that particular bet is attracting odds of 4/1. Raheem Sterling is also a favourable player to bet on scoring, with the bookmaker offering 5/1 if he scores first or last, or 7/5 if he manages to net one during the game. Unfortunately for the Gunners, their top two scorers are not taking part in the EFL Cup Final. Alexis Sanchez completed a transfer to Man Utd in January, while Alexandre Lacazette is recovering from knee surgery. However, Pierre-Emerick Aubameyang completed a transfer from Borussia Dortmund and now Arsene Wenger must deploy the showman in the right slot to give him a chance to shine. If he manages to score at all, William Hill is paying 29/20, while offering 11/2 if he bags the first or last goal. Another player to consider is Danny Welbeck. He’s only managed to score five so far this season, but at 5/2 for an anytime goal, he could be well worth a look. So if you think you can tell which team will lift the Carabao Cup on Sunday, then place your football bets with William Hill. If you join now, the bookmaker considered one of the top in world is offering you a £30 free bet when you make a wager of just £10, which you can use on some of the bets listed above.